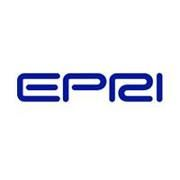 The Paks Nuclear Power Plant in Hungary recently joined the Electric Power Research Institute's (EPRI) nuclear research program, allowing it access to EPRI research results and technical guidance. "Access to EPRI's past research results and active participation in EPRI's current research programs will help meet the challenges our plant is facing," Geza Pekarik, technical support director of the plant, said. "This agreement represents a major step toward further improvement of our plant's safety and operational reliability. The Paks facility consists of four Russian-designed VVER 440 nuclear reactors, each rated at 500 MW. The collaboration between Paks and EPRI will enable EPRI to further expand the applicability of its technical products and guidance to VVER reactors. "The existing Paks units, two of which have already received government approval for 20-year life extensions, will be able to tap into our diverse range of research activities related to long-term operations, aging management, fuel reliability, waste management, radiation protection, and risk and safety," EPRI Vice President and Chief Nuclear Officer Neil Wilmshurst said. "Just as importantly, our engagement with Paks will enable our global membership to draw lessons from Hungary's nuclear plants that can be shared with the broader nuclear industry." EPRI's members represent approximately 90 percent of the electricity generated and delivered in the United States, and international participation extends to more than 30 countries. Want to get notified whenever we write about Electric Power Research Institute ? Next time we write about Electric Power Research Institute, we'll email you a link to the story. You may edit your settings or unsubscribe at any time.